Previously published in hardcover from Avalon Books / Montlake Romance. With the prissiest barefooted walk she could manage, Charlie Nelson emerged from her bedroom wearing the gorgeous red dress. Joanne looked up and screamed. Joanne made a beeline for her bedroom and came out carrying a shoebox as if it held the crown jewels. She handed the box to Charlie. They looked lethal, but before Charlie could figure out a way to decline Joanne’s exuberant offering, the doorbell rang. For once, she’d been saved by the bell. “He probably couldn’t last another moment out of your company. It’s been nearly twenty hours since he saw you.” Charlie pirouetted, enjoying the feel of the satin against her skin. “Yeah, right. And once he sees you in that, he may forget all about his poor little fiancée.” She pulled open the door. “Oh, Philip, uh, come in.” She stepped back and swung the door wider, sending Charlie a questioning look. Charlie gulped. What the dickens was Philip doing here, anyway? She’d made it clear she wasn’t going out with him tonight, or any more for that matter. Philip stalked confidently into the apartment, then caught sight of Charlie and stopped dead in his tracks. For the first time, Charlie saw a man’s eyes boggle. It must be the dress. Of course he had. Perhaps that had been the trouble. He’d considered her more of an accessory than an individual. “I’m looking for Charlie Nelson,” came a man’s voice. 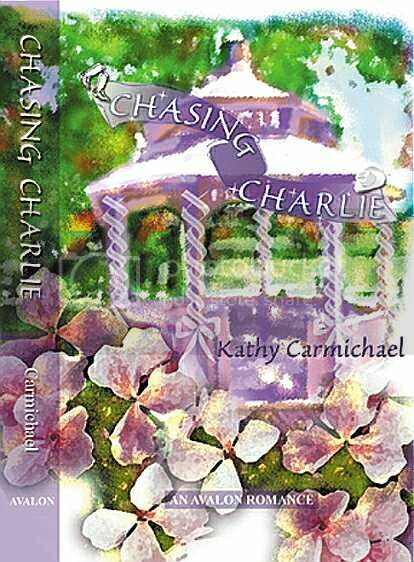 Charlie looked from Philip, to Joanne gaping at the door, to the ceiling, wondering what could possibly happen next. Somehow, the voice seemed familiar. She took a step past the leering Philip, closer to the door. “Come right in,” Joanne told the man at the door. And Charlie knew exactly what was going to happen next. She was going to expire right on the spot, because it was none other than Davis Murphy, the man who’d asked her to be his pretend fiancée. How on earth had he found out where she lived? Just as she was about to ask exactly that question, Philip grabbed her arm. “Very funny,” said Charlie as Joanne shut the door. “I wouldn’t have missed this for anything.” She crossed the foyer and joined Philip, glaring at his flowers. Davis looked smugly arrogant. “Do you have another bucket for these?” asked Davis as he held out a dozen daisies. How had he known they were her favorite flowers? “I’ll take care of them,” Joanne assured him. Joanne shoved the shoe box into his hands. Charlie fought for control. Had she been plopped into some stage farce and not given her lines? She couldn’t get a word in edgewise. “You got it, babe.” He stuck the shoe box into Charlie’s arms; then, like a caveman, he swept her into his arms and carried her to the door. Joanne ran ahead and opened it. Davis grinned as he left the apartment.